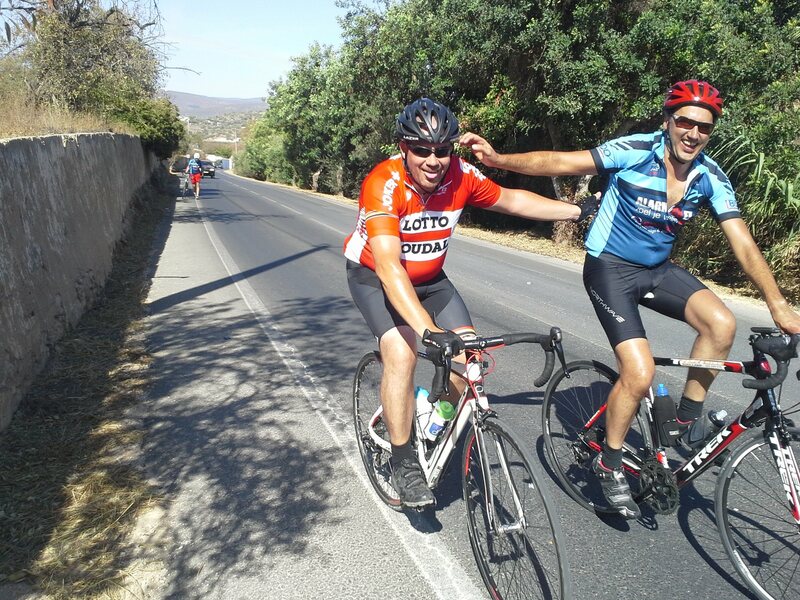 Use the form below to contact tour Lisbon to the Algarve Road Bike Tour directly. Upon your arrival in Lisbon, we will meet you and take you to your hotel in Sesimbra, just to the south of Lisbon. Sesimbra is a pretty seaside resort, set in the sheltering foothills of the Arrábida mountain range. Its pristine beaches and rugged cliffs provide the perfect backdrop to enjoy the freshly cooked seafood, for which it is famous. Time allowing, you should take in the panoramic views from the battlements of the Castelo de Sesimbra. 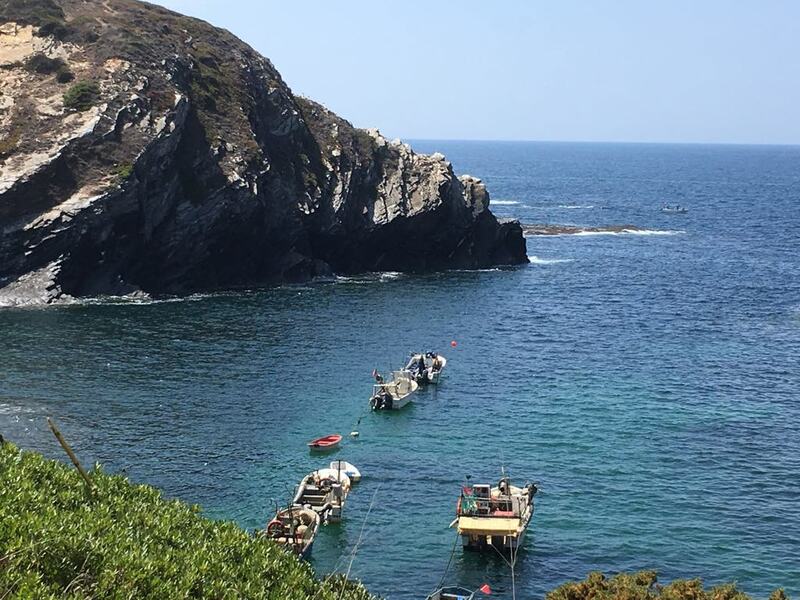 Or make a quick diversion to the Cabo Espichel, a dramatic headland that is home to a church, a lighthouse and, incredibly, two sets of dinosaur footprints! 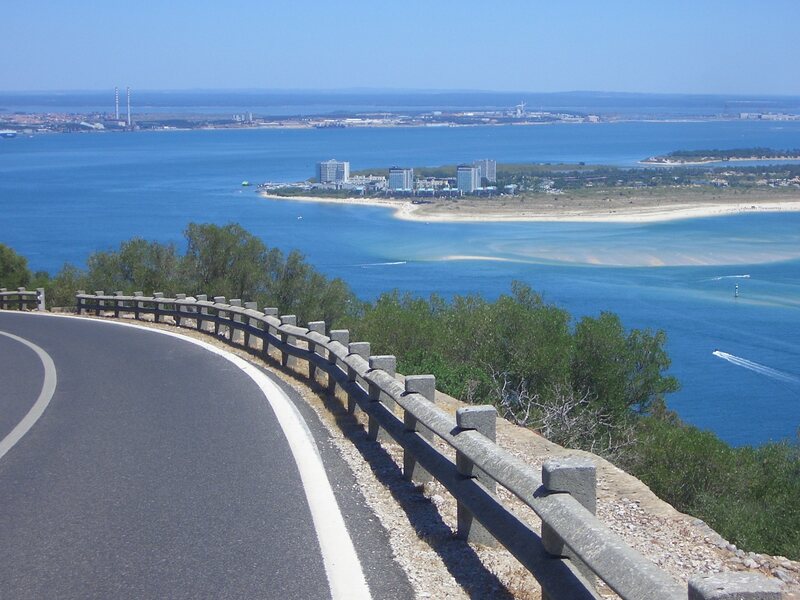 Setting out from the spectacular Cabo Espichelmost of today’s ride is along the limestone cliffs within the Arrábida Natural Park, overlooking the crystal clear waters of the Setúbal Bay and the Troia Peninsula, with its fine white sandy beaches. Along the route there are numerous attractions including the Arrábida Convent, which is worth a slight diversion for it’s historical interest and fine views. Your destination for the night, Setúbal, is a thriving port town, with a quaint old quarter where you can while away the hours on one of the beautiful squares, whilst you sample the local delicacy, chocos fritos (fried cuttlefish). Or take a leisurely boat trip up the Estuary where you can spot all kinds of birds on the saltmarshes. This Natural Reserve is also home to a colony of bottlenose dolphins. So there is plenty to see and do in and around the town. 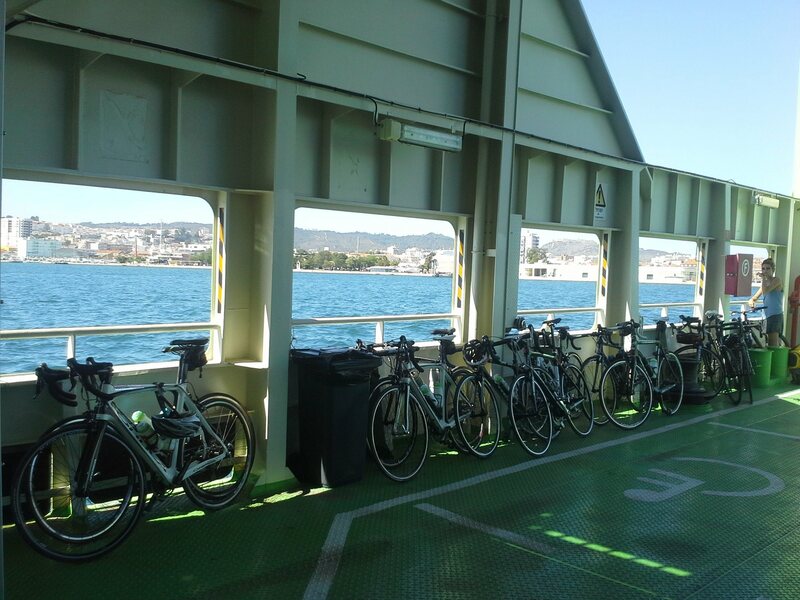 After breakfast you will take the ferry across the bay to the Troia Peninsular. (Keep an eye out for dolphins as they have been known to race alongside the boat!). The peninsula is a low-lying sandbank, so it’s a nice flat ride to start the day, partly along a designated cycle path. It’s worth stopping for a moment to take in the Roman ruins, once a major fish-salting factory and a sizeable discovery. Further down is Carrasqueira, an old fishing community where you can still see traditional reed houses and narrow fishing boats moored on the mud flats nearby. 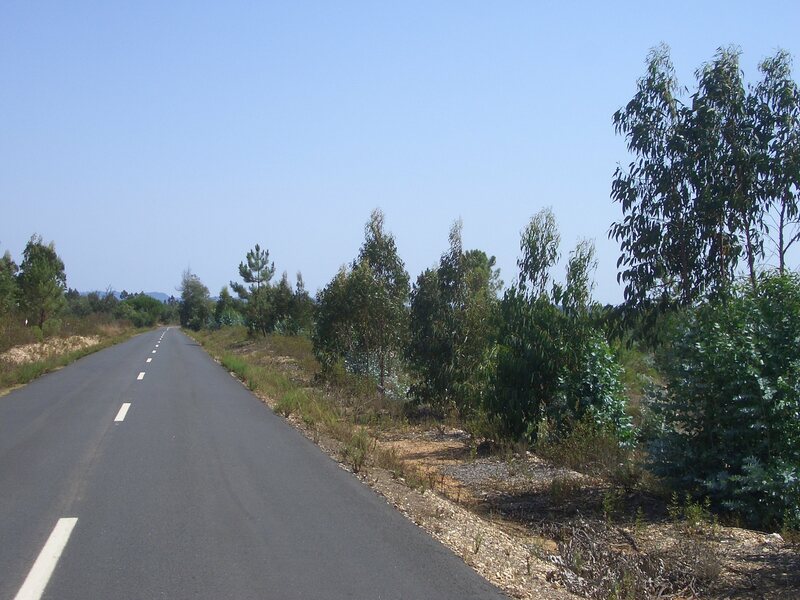 Your leisurely ride continues almost 20kms, flanked by sand dunes and rice fields, bringing you to the Alentejo region and the lovely town of Comporta, one of the regions most “hip” resorts. If you’re feeling brave you might like to sample their local speciality, a Blueberry Caipirosca (a vodka based cocktail that hails from Brazil). From here the landscape begins to change and so do the roads. You will enjoy some good ups and downs as you head inland amidst cork oak forests and moors abundant with pine and eucalyptus trees. You will stay in the bustling provincial town of Santiago de Cacém, with an imposing Moorish castle and an interesting history. Today’s rides takes you back to the Atlantic coast. 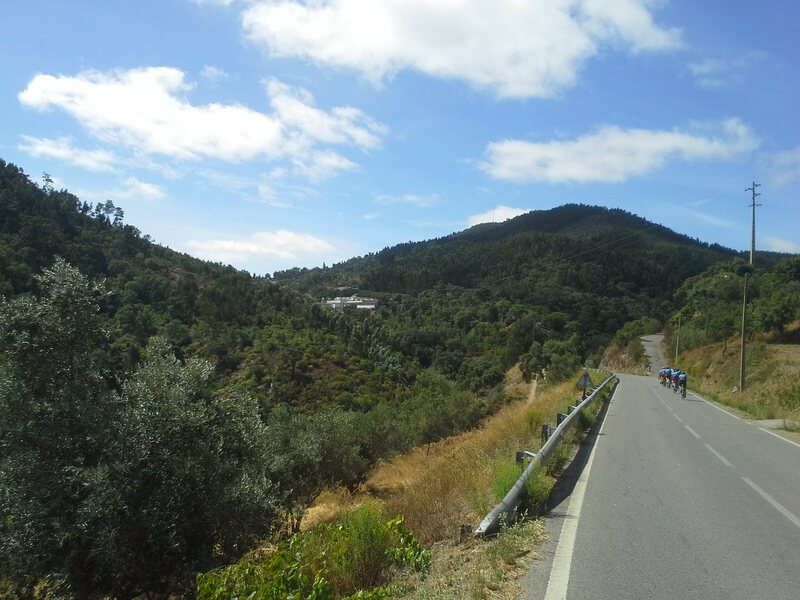 But first you will spend the day cycling along very quiet roads and through sleepy villages that are surrounded by undulating countryside and forests of cork oak. You may wish to take a break in Cercal, a typical Alentejo small town, rich in traditional architecture. You can explore its historical centre via a network of narrow streets and alleys, sampling local products and enjoying the traditional arts and crafts. At the picturesque village of São Luis, you will turn West towards the Atlantic and the popular seaside town, Vilanova de Milfontes. Very popular with Portuguese tourists, it’s a lively and welcoming town overlooking the Mira River. It’s beautifully traditional and the myriad of cobbled streets are perfect for exploring at your leisure. 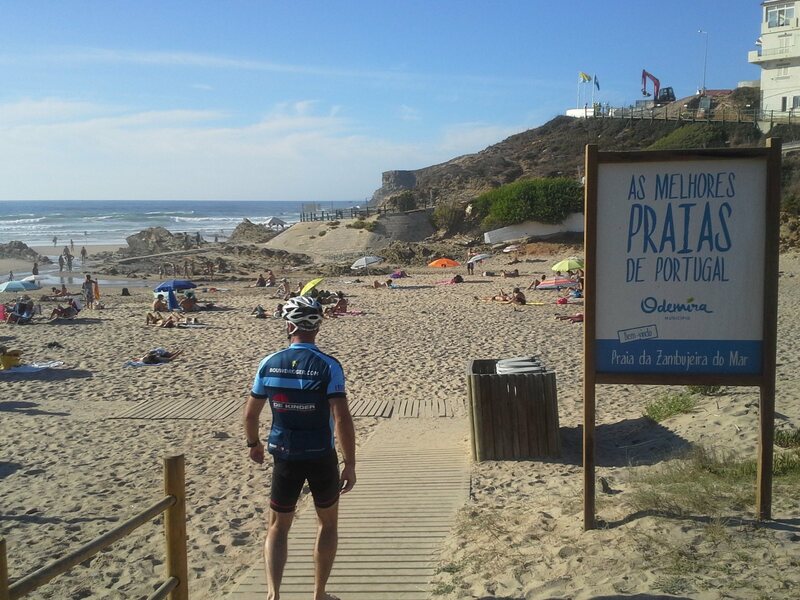 This is a longer day’s riding and it’s packed full of fabulous sights as you cycle through the scenic Vicentina Natural Park. 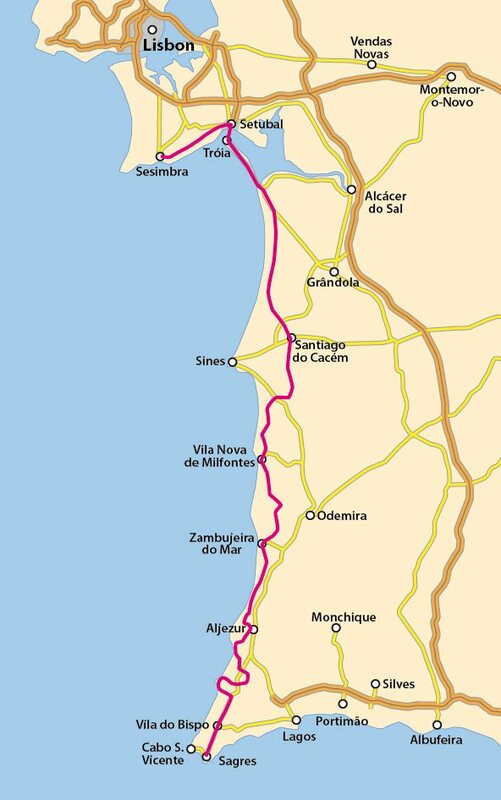 Some possible detours might include: the Praia do Almograve, widely considered to be one of the West Coast’s most outstanding beaches; Cabo Sardão Lighthouse, where you can look down on the storks that nest on the rocks below; and Entrada da Barca, which is a natural fishing port. Reaching Zambujeira do Mar, you’ll be tempted to linger in the pretty, whitewashed village perched at the top of a giant cliff overlooking a wide, sandy bay. Continuing along the unspoilt coastline, don’t forget to take in the spectacular views, listen to the crashing waves and breathe in some of the freshest air in Europe! Also worthy of a pause in your journey is Odeceixe, a sleepy town perched on a hill, overlooking the estuary of the river Seixe, which straddles the borders between the Alentejo and the Algarve. As you leave Odeceixe you are not only crossing over into the Algarve, but into the “land of the sweet potato” of which Aljezur is deemed the “capital”. It’s said that they produce the best tasting varieties because of the weather conditions and the sea air. So it’s probably the best place to sample it cooked in one of a few traditional methods. If you happen to be there in October/November, they even have an annual Sweet Potato Festival. 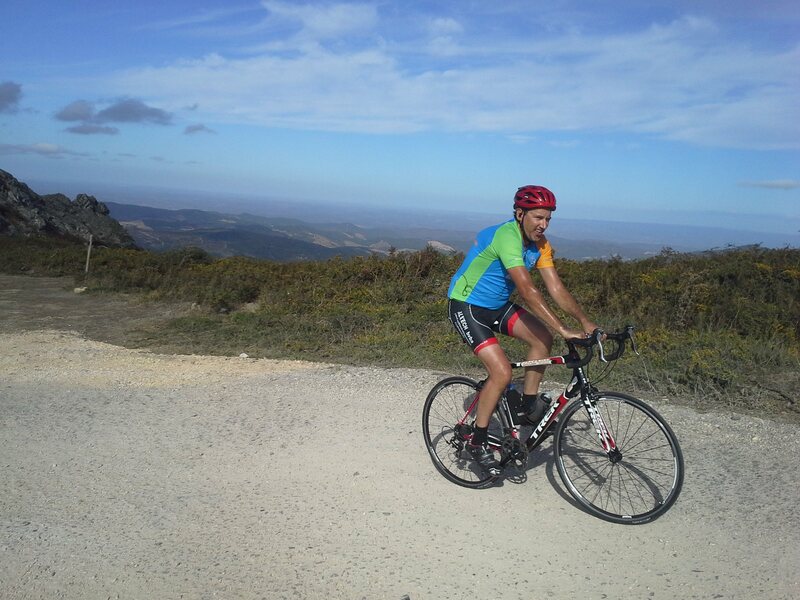 Today is clearly the most difficult in terms of elevation, as your route takes you to the highest point in the Algarve, Foia; it’s a renowned climb that is undertaken by local and pro riders, during the Volta ao Algarve and similar events. 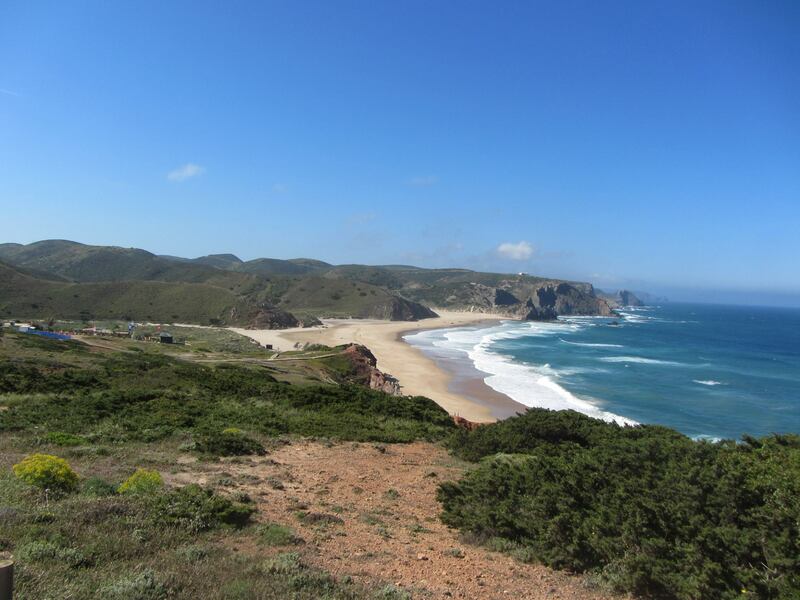 Heading out of Aljezur, you will embark on a steep ascent to the tiny hamlet of Pedascas, where you will begin to appreciate your efforts as you enjoy the views to the South across the Algarve. The road becomes more undulating towards Marmelete, where there are a couple of cafés that are accustomed to serving sugar and caffeine in various forms to those tackling this breath-taking climb. From Marmelete, you will take the less travelled road on the northern side of the Monchique mountain range to approach the Foia ascent. After taking the iconic photo with the Atlantic Ocean far beneath you, you will descend by the classic Southern side. Your boutique hotel with spectacular views is situated just outside the pretty mountain village of Monchique. Despite heading from the mountain to the sea, today’s route is not all downhill. You will take a slight detour through the sleepy hilltop village of Alferce, before a winding descent to the Barragem (reservoir) de Odelouca. The mostly quiet and smooth roads will lead you through unspoilt countryside to the picturesque town of Silves. Once the Moorish capital, Silves is steeped with history. It is an enchanting town on the banks of the Rio Arade and home to the best-preserved castle in the Algarve. It’s a good place for a break; a short hop up to the castle will bring you to a pleasant square with an excellent café, popular with locals and visitors alike. Your toughest climbs are behind you, as you make your way through the traditional agricultural town of Algoz and the small but bustling Guia. Birthplace of the famous Chicken Piri Piri, Guia is full to bursting with establishments that claim to be the ‘original’, ‘the first’, ‘the King of…’ Piri Piri restaurants! So you can easily take your pick and enjoy a simple, cheap and filling repast, before the final leg of your journey. The last few kilometres take you past the well-known vineyard Adega do Cantor, established by Sir Cliff Richard. These rolling hills will be your last image of the Algarve countryside as you descend to the Coast and your destination for the night, the popular seaside town, Albufeira. We will transfer you from your hotel to Faro airport or, if you are returning via Lisbon, to a local train station for your journey home. We strongly recommend that, if you are able, you spend a couple of days extra in Lisbon, to explore this city full of surprises. You will not be disappointed. Lisbon is a picture postcard city; it has succeeded in retaining its old-fashioned charm, whilst at the same time offering an eclectic feast of modern and historical architecture and cultural attractions. There is literally something for everyone. Additionally, this tour can be extended to include a trip along the Algarve Coast and beyond into Spain. Please ask for more details.